New CDO CT animated tag featuring the art of Cartoon Pink. Cartoon Pink Individual Tube 45-1 can be found here. Or Cartoon Pink Package 45 can be found here. 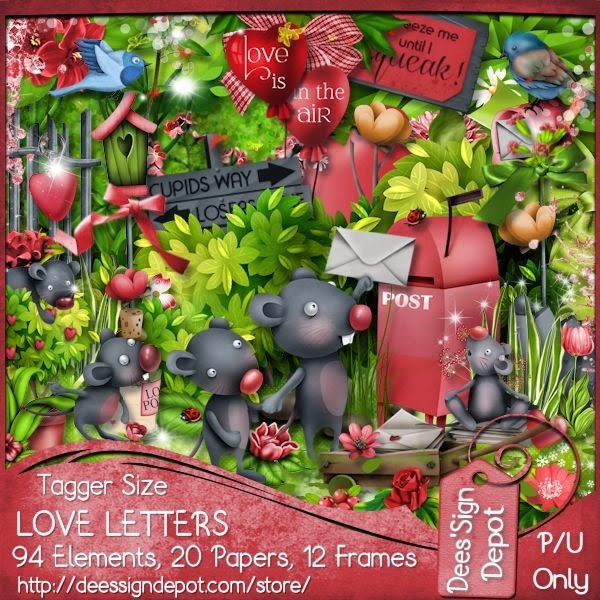 Scrap kit, Love Letters by Dees'Sign Depot here.